Reydo Respati is a Indonesian illustrator and a lecturer based in Jakarta. He graduated from Trisakti University in 2011 and from Bandung Institute of Technology in 2015. 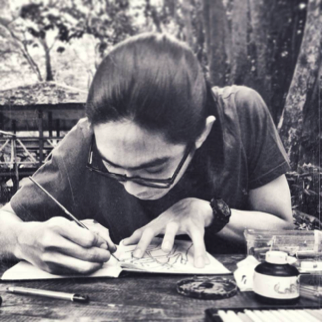 Since 2010 he doing study in drawing and illustration encouraged by his passion in art. He also been teaching the next generation of talents at the almamater and at Binus University.